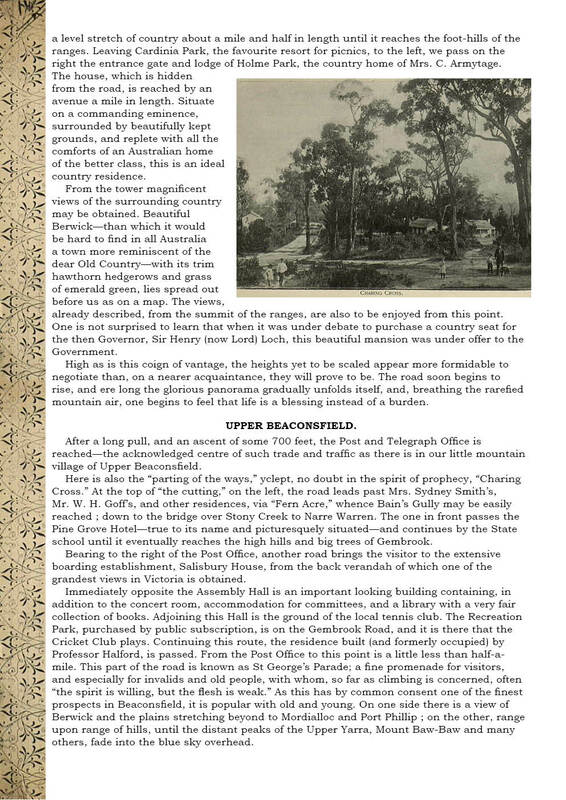 Thomas Cole MACKLEY bought his property in Upper Beaconsfield in 1888. It appears that by the time he moved here he had retired from his business as a merchant. For some years in the 1880s he was the sole agent of the Belgian Export Company. In Upper Beaconsfield he tended to his orchard. 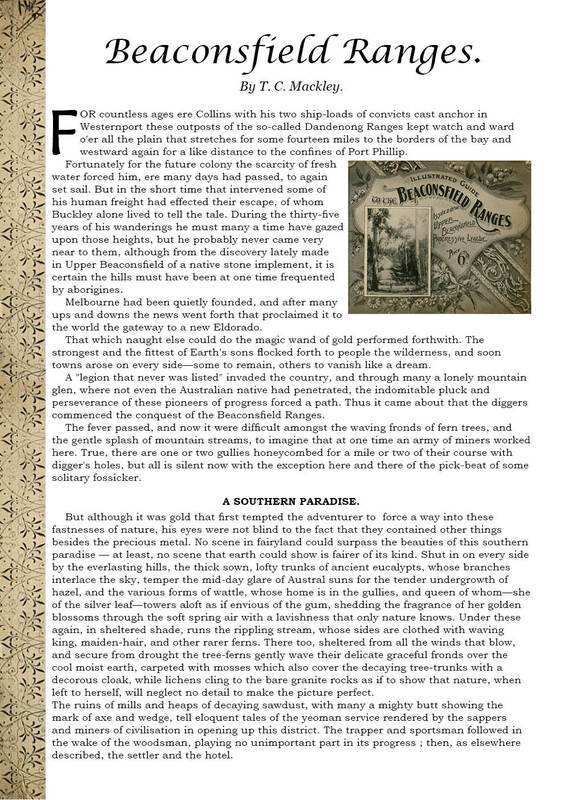 After his wife's death in 1897 he returned to Melbourne, where he still had a house. He died in 1909. 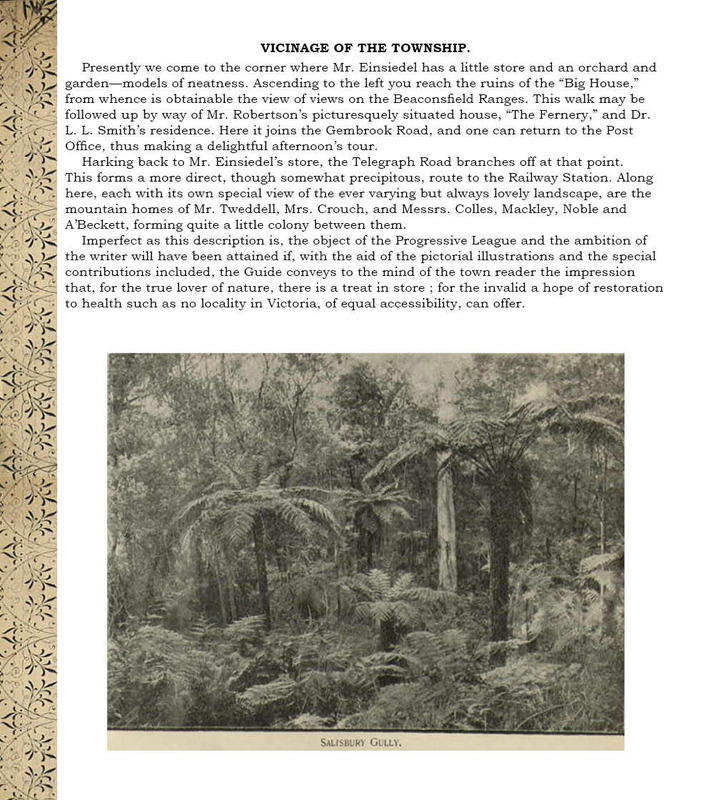 T C Mackley was involved in community affairs, and was a committee member of the Upper Beaconsfield Progress Association. 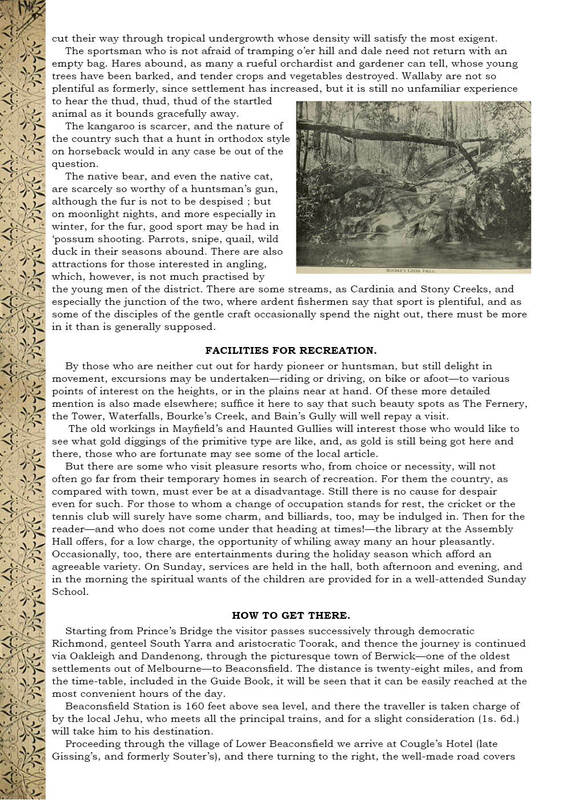 For a guide aimed at enticing tourists to Upper Beaconsfield, he wrote an article which is reproduced below. 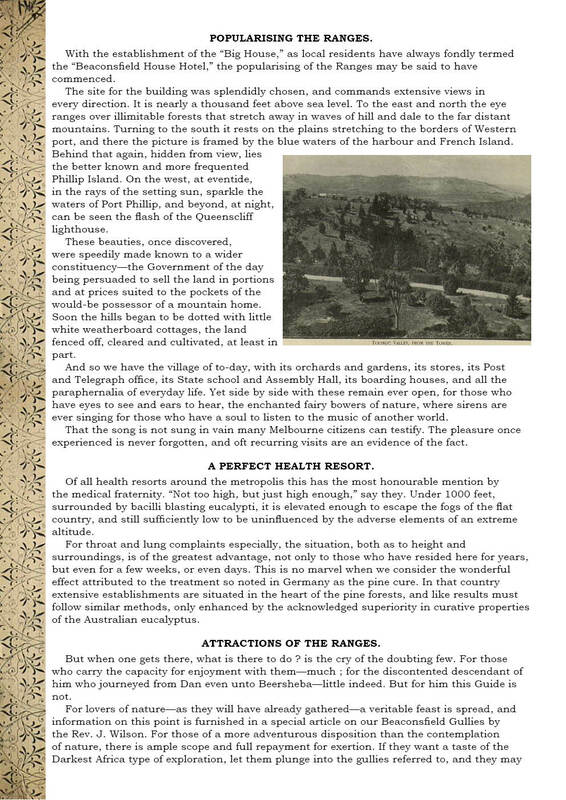 T C Mackley also wrote numerous letters to the South Bourke and Mornington Journal, under the pen name of Todea Africana.